This chart show the number of projects for each team size in Rubyforge. Projects listed as having 0 developers were disregarded (159 projects). 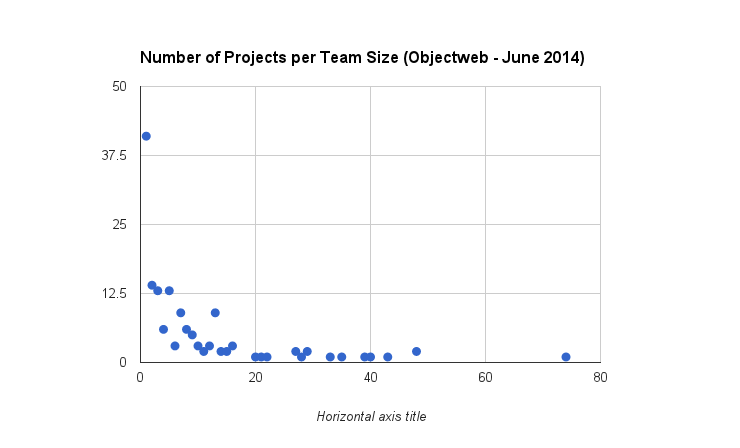 This chart shows the number of projects of each team size listed in Objectweb. 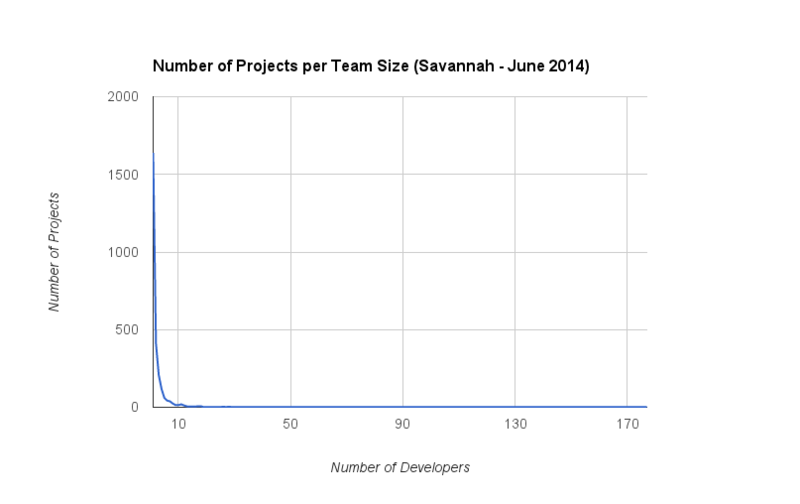 This chart shows the number of projects of each team size listed in Savannah. Projects listed as having 0 developers were disregarded (73 projects). This chart shows the number of projects of each team size listed in Free Software Foundation. Projects listed as having 0 developers were disregarded (57 projects). 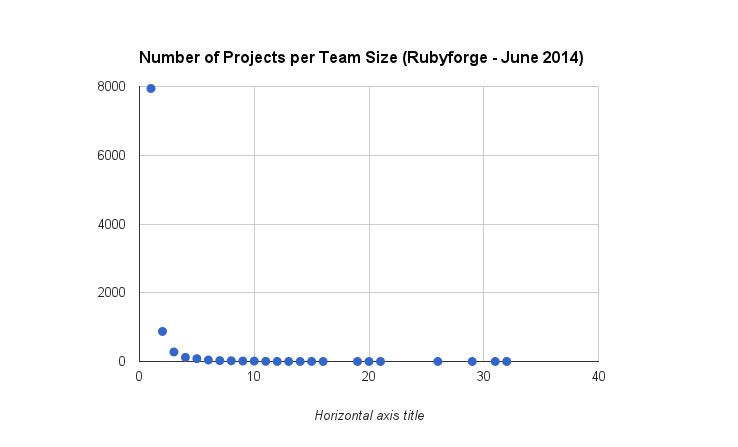 This chart shows the number of projects of each team size listed in Rubyforge. Projects listed as having 0 developers were disregarded (152 projects). As of June 2009, how many projects of each team size are listed in Sourceforge? This chart shows the number of projects of each team size listed in Sourceforge. Projects listed as having NULL or 0 developers were disregarded (1432 and 1478 projects, respectively). Read more about As of June 2009, how many projects of each team size are listed in Sourceforge? As of June 2009, how many projects of each team size are listed in Objectweb? Read more about As of June 2009, how many projects of each team size are listed in Objectweb?